I'm so excited to be able to show you the German cover for Pivot Point today! I love it so much. It's so interesting to see what covers other countries choose. The title even got a makeover for this cover. 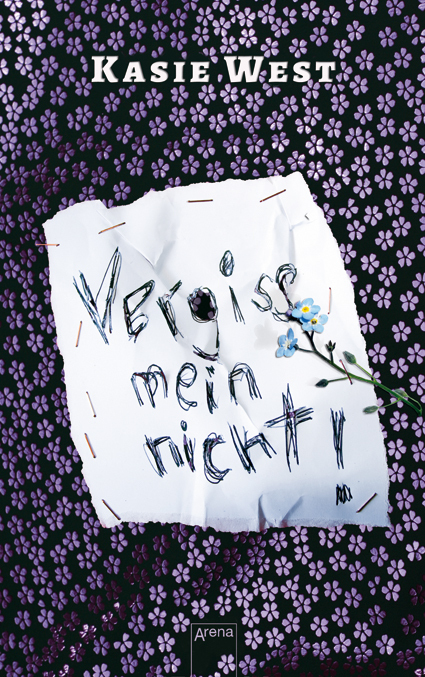 Pivot Point in Germany will be known as: Forget Me Not. And of course, the cover matches that title perfectly. When I heard this title I was like, oh wow! That's so clever. It fits the book perfectly. And then the crumpled note displaying the title. Ah. They really captured the essence of the book. What do you think? I love it! Even better than the English version:-)And i agree; it captures the book's essence better. So clever. How fun for you. Very clever! Way to go Germans!! That is a perfect cover for this book! And with that title! I really love the American cover but you are right--the title is clever and I immediately thought of Trevor. Oh, wow, that is the perfect title. Love it. I prefer the US cover though.